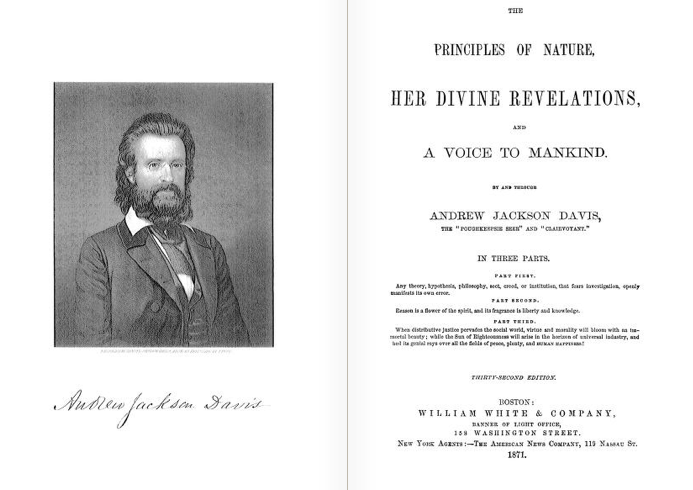 One of the many unlikely personalities featured in my latest book, Metaphysical Odyssey into the Mexican Revolution: Francisco I. Madero and His Secret Book, Spiritist Manual, is the so-called "Seer of Poughkeepsie," Andrew Jackson Davis, the "John the Baptist" of Spiritualism-- from whence came Spiritism. "It is a truth that spirits commune with one another while one is in the body and the other in the higher spheres. . . and this truth will ere long present itself in the form of a living demonstration. And the world will hail with delight the ushering-in of that era when the interiors of men will be opened, and the spiritual communion will be established such as is now being enjoyed by the inhabitants of Mars, Jupiter, and Saturn." It did not go unremarked, and Davis readily acknowledged, that his Principles of Nature echoed much that was in Swedenborg’s works. And here we must dig a little further and examine one more root of roots: Swedenborgianism, which had arrived on American shores in the late eighteenth-century, when an Englishman brought Swedenborg’s books and their stunning revelations to Philadelphia. 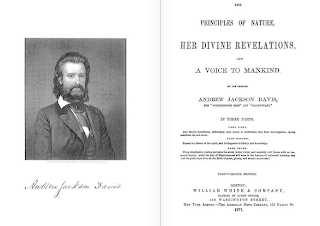 "One of the most quietly monumental figures of the nineteenth-century was the American trance medium Andrew Jackson Davis (1826-1910), known (sometimes jokingly) in the press as the "Poughkeepsie Seer" for his Hudson Valley, New York, home. Horowitz also posted a bit about this beautifully done 20 minute documentary directed by Julia Bailey Johnson and other Vassar College students, "The Seer of Poughkeepsie," a poetic take on past and present Poughkeepsie, and which features an interview with Mitch Horowitz. Well worth watching.